Both Maggie Fortini and her brother, Joey-Mick, were named for baseball great Joe DiMaggio. Unlike Joey-Mick, Maggie doesn't play baseball--but at almost ten years old, she is a dyed-in-the-wool fan of the Brooklyn Dodgers. Maggie can recite all the players' statistics and understands the subtleties of the game. Unfortunately, Jim Maine is a Giants fan, but it's Jim who teaches Maggie the fine art of scoring a baseball game. Not only can she revisit every play of every inning, but by keeping score she feels she's more than just a fan: she's helping her team. Jim is drafted into the army and sent to Korea, and although Maggie writes to him often, his silence is just one of a string of disappointments--being a Brooklyn Dodgers fan in the early 1950s meant season after season of near misses and year after year of dashed hopes. But Maggie goes on trying to help the Dodgers, and when she finds out that Jim needs help, too, she's determined to provide it. Against a background of major league baseball and the Korean War on the home front, Maggie looks for, and finds, a way to make a difference. Even those readers who think they don't care about baseball will be drawn into the world of the true and ardent fan. 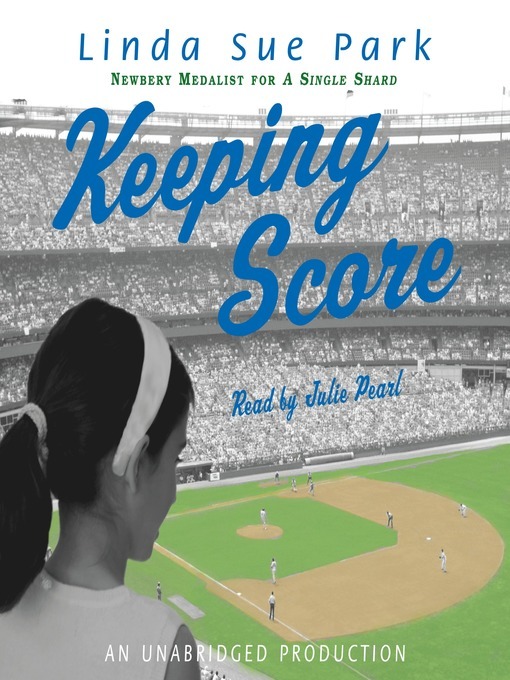 Linda Sue Park's captivating story will, of course, delight those who are already keeping score.